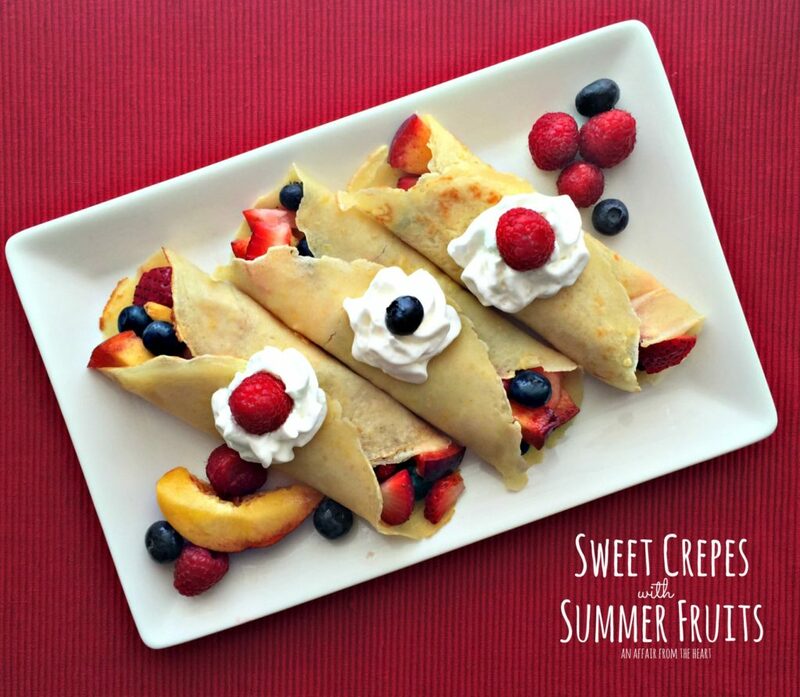 Delicate sweet crepes, filled with fresh summer fruits like raspberries, blueberries, strawberries and peaches. Served with whipped cream. If you want to feel like “Queen for a day” have someone place a plate of these crepes in front of you. Aren’t they just so darn pretty?!? Of course, it was made easy for me when I found this step by step recipe from my friend, Nicole, at PicNic. It’s time for another round of Freaky Friday! If you have been with me for a while, you know what this means. A bunch of my good foodie friends and I swap blogs, we cook/bake from someone’s and keep it a secret until the reveal day (TODAY!) and we all put our recipes up at one time. It’s so much fun to see who had you and what they selected! I was so excited when I got Nicole’s blog! She and I have “known” one another for a couple of years now. Meeting in the food blogging community. Nicole is quite that amazing young lady. She is a scientist, has a PhD in molecular neuroscience, and teaches at a university. 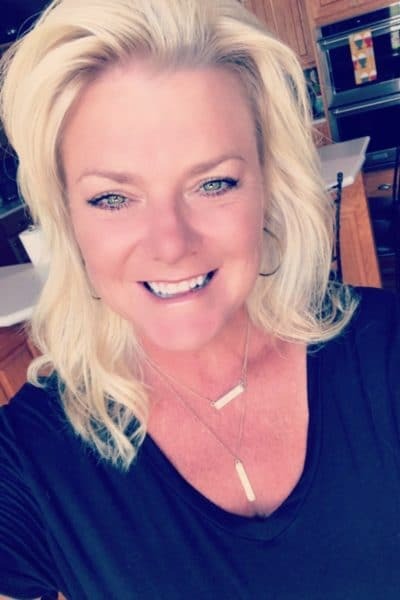 When she isn’t using all of that fantastic brain power, she loves to spend time in the kitchen developing new recipes, cooking and baking for and with her new husband Emmet. 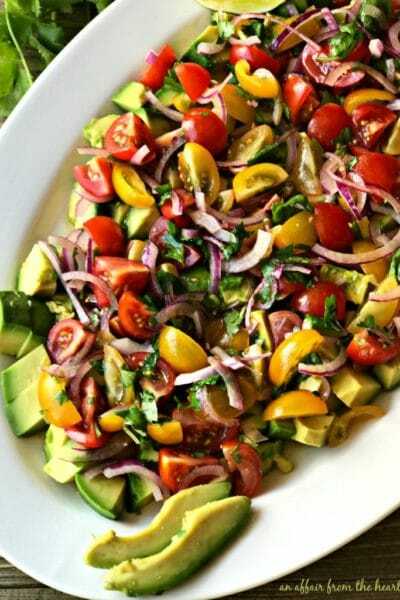 You just have to go browse her blog, you will be delighted at the wide array of recipes she has. When I drew her name, I immediately assumed that I would be making one of her awe-inspiring desserts. I mean, just look at this Strawberry White Chocolate Cheesecake and this Chocolate and Strawberry Swiss Roll — it was hard to look any further. Then I got lost in the section of curries she makes — and thought I would go a completely different route all together. That was until I saw the crepes. I have to admit, I was a bit intimidated — but I talked myself off the ledge and went for it! A large portion of our grocery bill in the summer is produce. It’s just so good! We eat TONS of it. 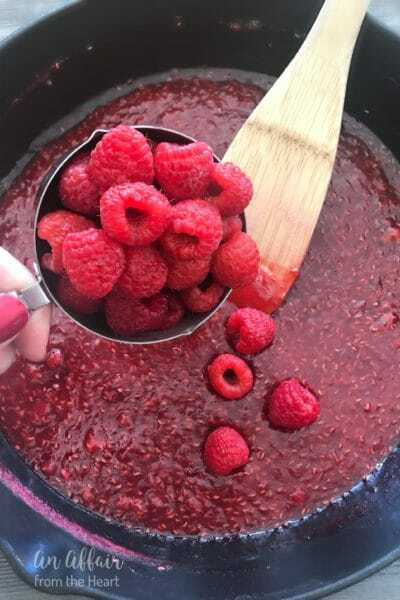 When I saw the recipe called for Summer Fruits – I knew this was the one! 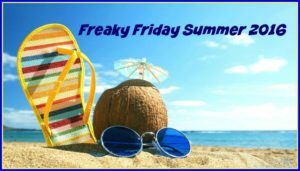 I mean, it’s the summer edition of Freaky Friday— it’s just perfect! I love how they turned out!! The crepes were only slightly sweet, I filled them with a mixture of peaches, raspberries, strawberries and blueberries. I topped them with a little whipped cream, and we were ready to dig in. Everyone enjoyed them, and I will most certainly make them again! The options for filling them are endless! Sift the flour and sugar into a large mixing bowl. 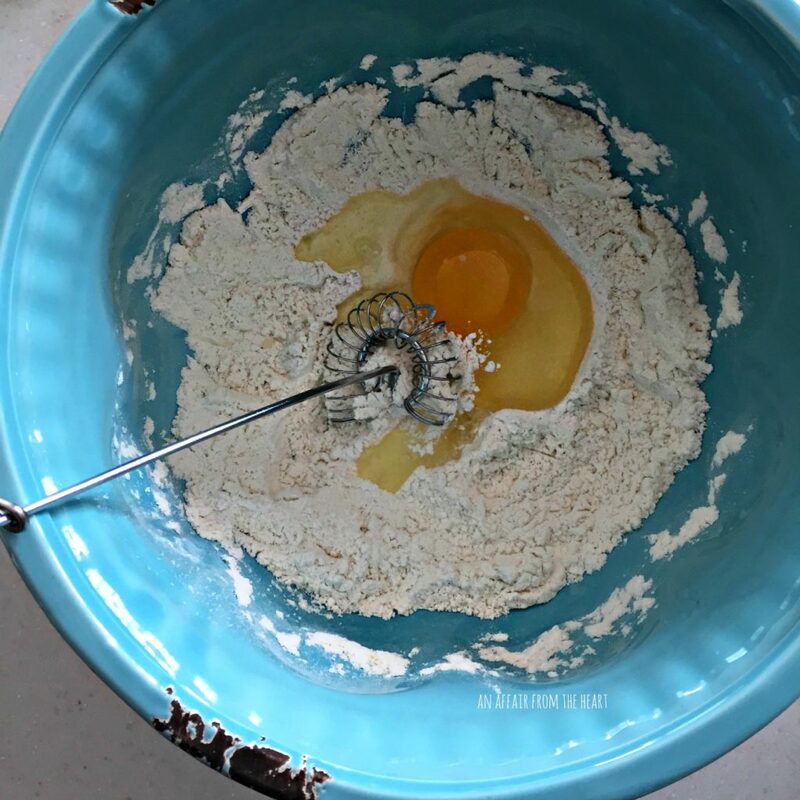 Make a well in the center and whisk in the eggs. Stir in the milk, melted butter, and vanilla. In a smaller sized fry pan (mine was about 6.5 inches at the base) melt a little bit of butter over a medium heat. For each crepe, add 1/4 cup of the batter to the fry pan, tilt the pan to cover the base evenly. Cook for 1-2 minutes, flip, and continue to cook for a further minute. Transfer each crepe to an oven on a very low heat to keep them warm while cooking the other crepes. 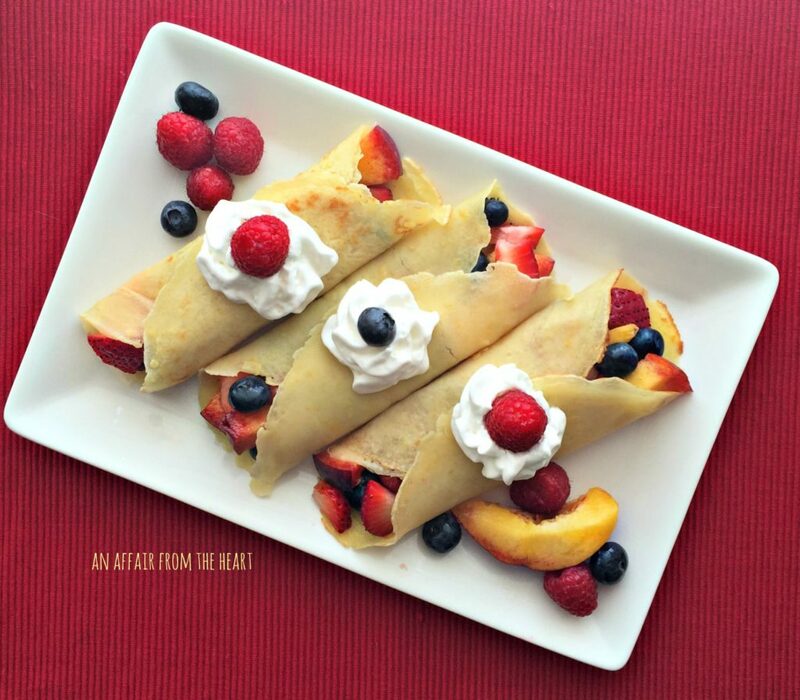 Fill each crepe with fruit, top with whipped cream and syrup if desired. I cut the recipe in half when I made them (showing the full recipe here) it made exactly 6 crepes with the recipe cut in half, using the frying pan with the 6.5 inch base. Please be sure to visit my other blogger friends and see what they chose — I can’t WAIT to see who had ME! I love crepes. 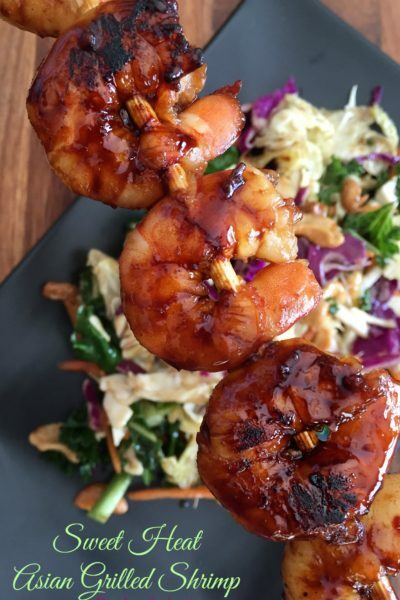 This recipe looks delicious and is beautiful. Yum! I have never had crepes before, but I think I may want to give them a try after seeing yours! They look delish! Michaela, your crepes are totally beautiful. I just LOVE all that fruit. We’re like you in the summer time, can’t get enough of all the gorgeous fruit. Thank you so much for all your super sweet comments 🙂 I am delighted that you and your family enjoyed the crepes, and super happy that you’ve discovered how easy they are to make! I love crepes. I have never made them but I think I am going to now. Great recipe and beautiful photos. You totally should!! They were yummy! 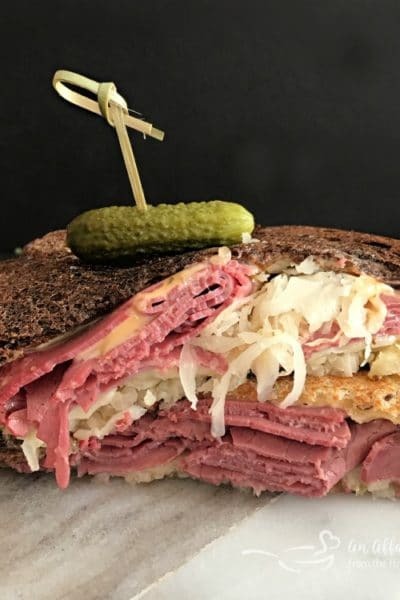 We have never made crepes but we love both your site and Nicole’s, from PicNic! Together, you both clearly knocked this beauty right out of the park. Our kids will love this and we will love it because of the fresh fruit used; thanks so much for sharing this one! I have a crepe pan I haven’t used in ages. Thank you for inspiring me to drag that thing out and start using it again. These look fabulous!! Thanks! I just used a regular frying pan — I might have to look into this crepe pan your are talking about! 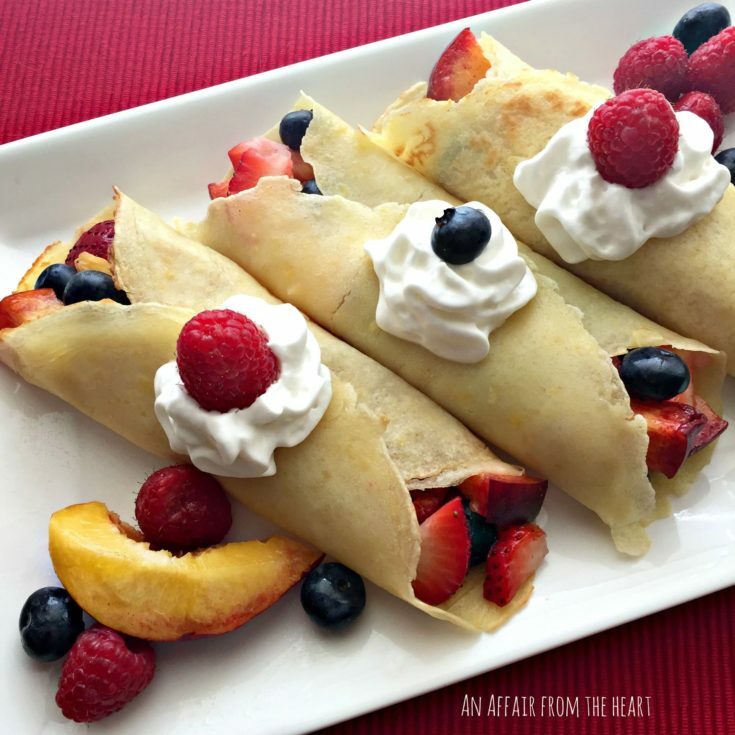 These look so light and delicious, they’d be perfect for a summer brunch! I’ve always wanted to make crepes and just can never get up the nerve to try it. I will have to push through the fear and try them. 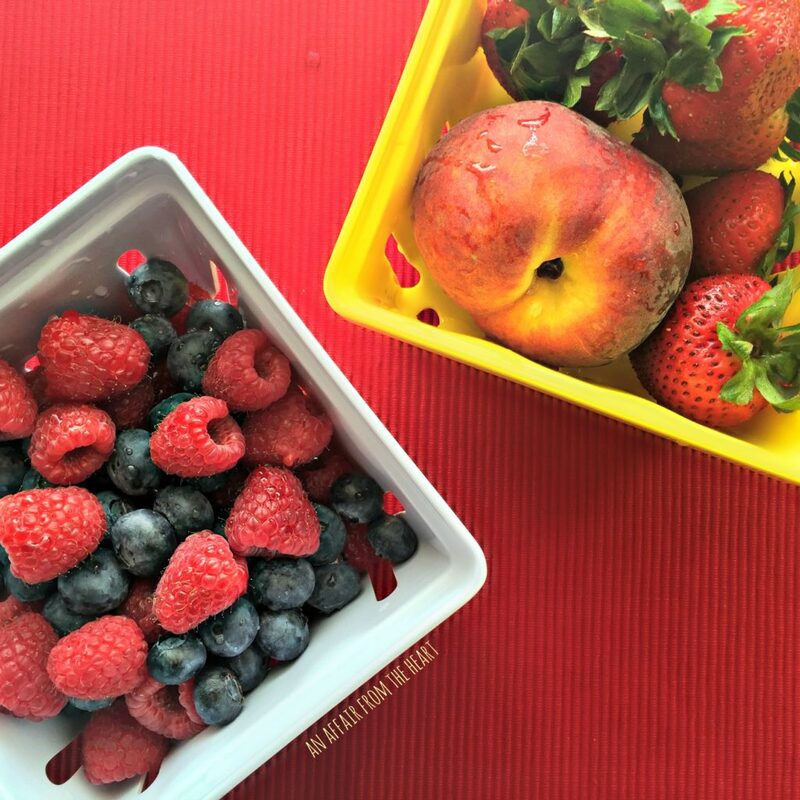 Like you said, a perfect way to enjoy all the beautiful summer fruit! These look amazing!! I love crepes. I haven’t made them in forever. I love how they can elevate even simple in season fruit. This is basically my dream summer breakfast, love it! These would make a lovely addition to weekend brunch! YUM! I had my first crepe a few weeks ago while on vacation. It was yummy! I have always been a fan of the pillowy pancakes but that first crepe changed my way of thinking! Thanks for a great recipe so I can make my own! 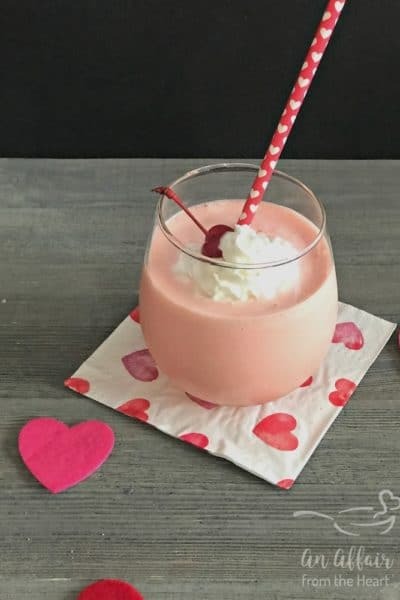 This is such a yummy looking recipe! They’d be such a treat for a special occasion or weekend breakfast or brunch!